I think this shot is fantastic! 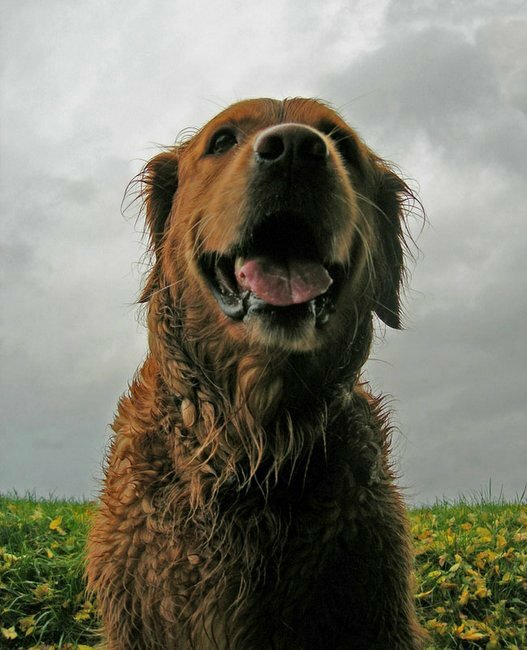 I especially like the contrast between the gray sky and green field, as well as the soft light on your dog's fur. The smile is perfect, too!